One of the things that I have always considered a positive about living on a sailboat, besides the obvious, is the complete lack of yard work that is required. No lawn to mow, no shrubs or trees to tend to. The down side is that I also don’t get to enjoy the kinds of birds that would be found in a typical backyard. Over the last weekend, my wife and I made a whirl-wind trip from Mexico, up to the Pacific Northwest, the Seattle area, where we stayed with the in-laws. 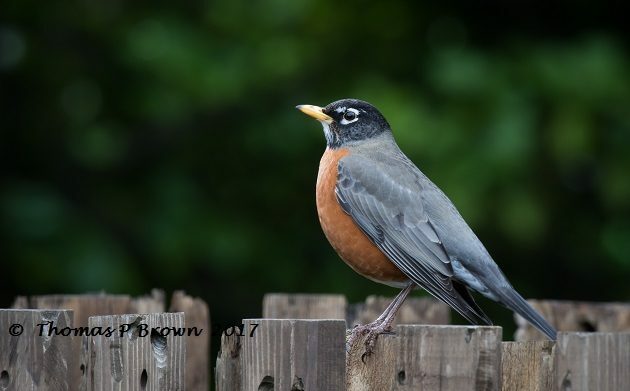 They have a nice large back yard, complete with a variety of bird feeders, and a fence that backs right up to a Green Belt. It was great to just sit there, cup of coffee in hand, and enjoy the birds that came and went. 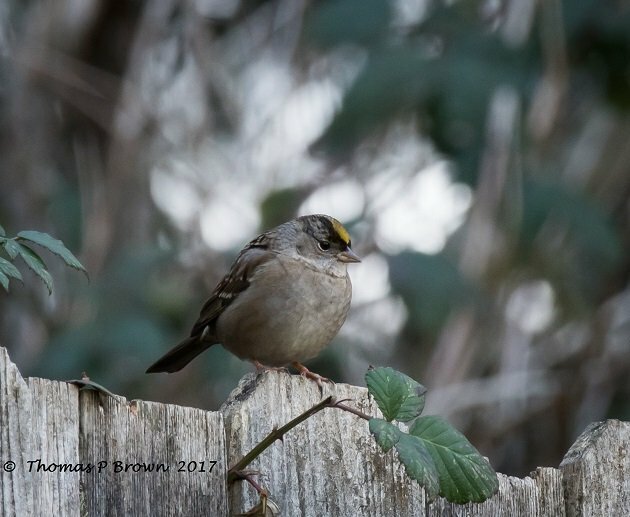 Having lived in Seattle, and much of the Pacific Northwest, there were no surprises, or new species, but it certainly was enjoyable to see the winter birds that never make it down to Mexico. 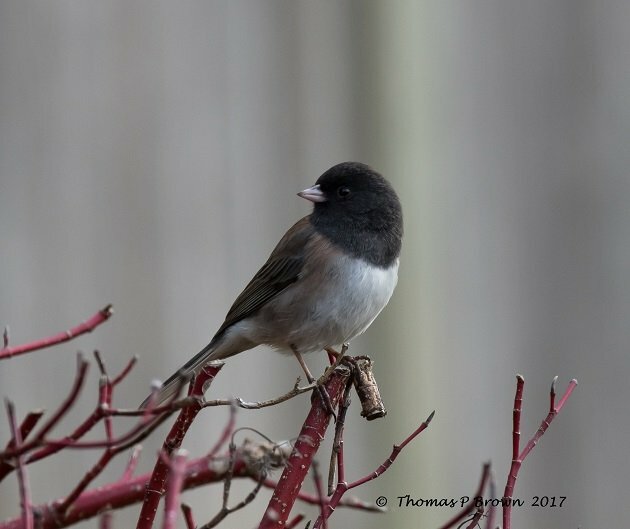 Dark-eyed Juncos, Spotted Towhees, Stellar’s Jays, and chickadees all made an appearance. 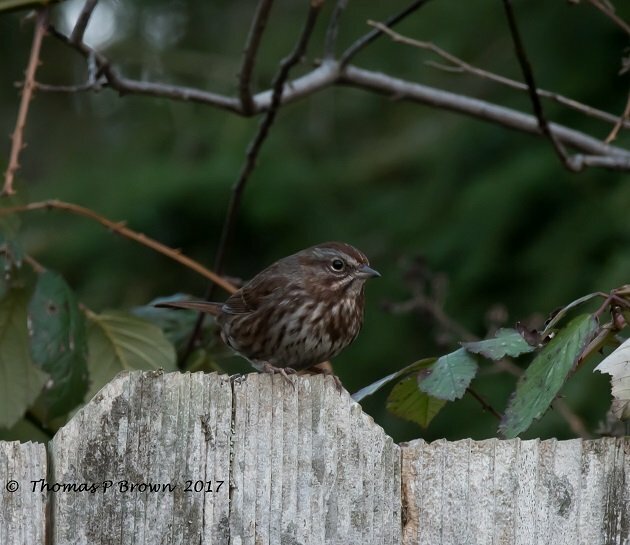 As you can see, most of the birds were quite accommodating, just lining up along the back yard fence to get their photo taken. I guess I will just have to settle for a “back yard” full of gulls, boobies, and all different manner of shorebirds, and still not a weed to pull. 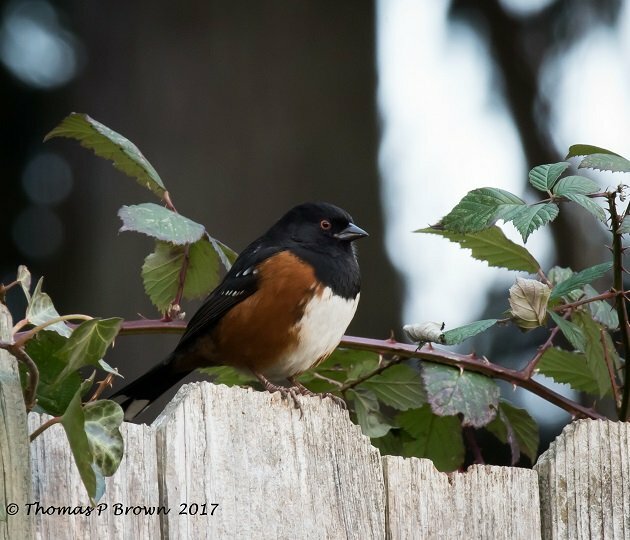 I know one site in Michoacán that has all four birds you mentioned: Steller’s Jays, Spotted Towhees, chickadees and juncos. Except the chickadees are Mexican and the juncos are Yellow-eyed. And they are all year-round residents, not migrants. Plus, of course, Red Warblers, Golden-browed Warblers, and other endemic specialties.